The video game industry estimate's GTA 4 will sell about 6 million copies and make about $400 million in sales worldwide in its first week alone. If those numbers hold up, the game would break the record held by the current all-time sales champ Halo 3. Grand Theft Auto IV. GTA IV. 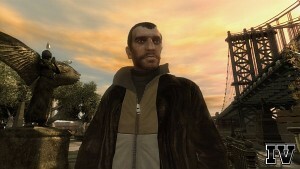 GTA4. Whatever you want to call it, the facts remain the same: Rockstar's latest entry into the Grand Theft Auto family is a total success. I went and picked GTA IV up yesterday and so far have really enjoyed it. Will play online with some of my buddies sometime this weekend. ?That is how GTA rocks the gaming world! Thanks for sharing the news here. ?speaking of GTA, check out a game we developed called streetrally. ?This might interest you because of its GTA feel. Here is the link for the game . Thanks!